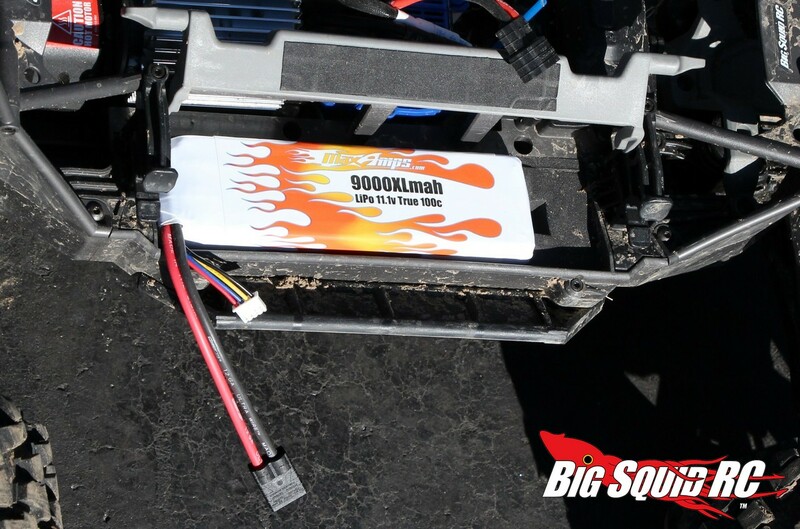 MaxAmps 9000XL X-Maxx LiPo Battery Review « Big Squid RC – RC Car and Truck News, Reviews, Videos, and More! 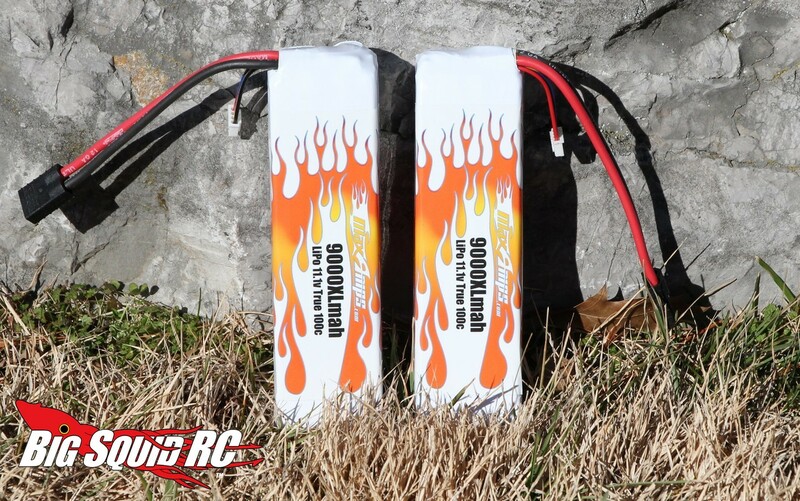 Set-Up Notes: As the battery set will undoubtedly be used in a whole lot of bone stock X-Maxxs, that is exactly how we used them. 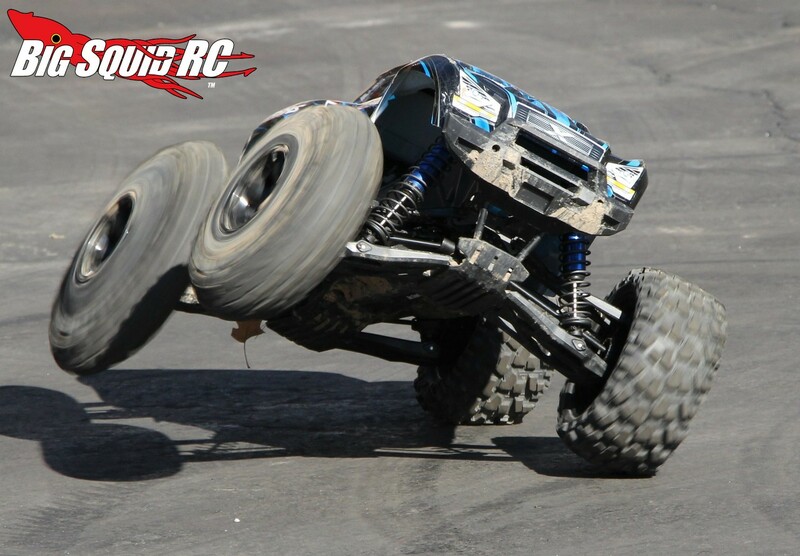 Our truck was bone stock and we used stock Traxxas connectors. Charging duty was handled by an iCharger 308 and we charged the packs at a 2C rate (18 amps). 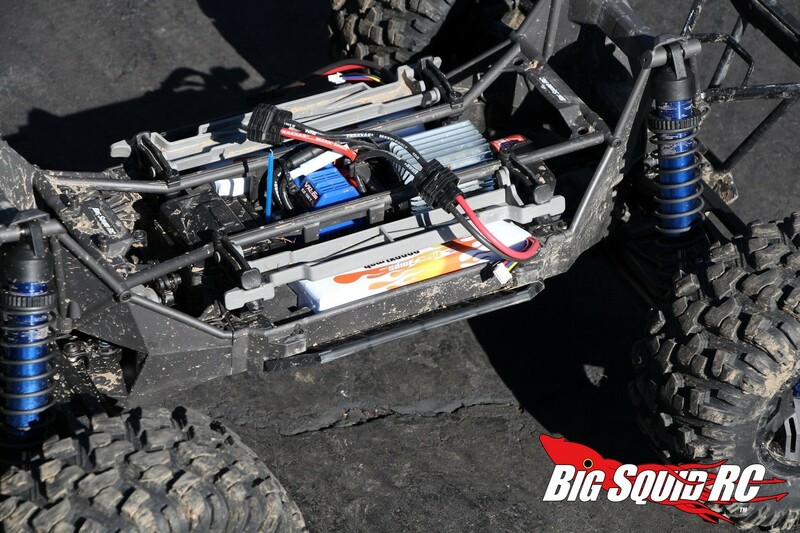 Fit: We found that the MaxAmps fit our X-Maxx battery trays perfectly. They fit snug, leaving zero slop for them to slide around, but were still loose enough to be able to get in and out quite easily. Also of note, one pack is wired to fit the left tray while the other is wired to fit the right, a very nice detail that is often overlooked by other companies. 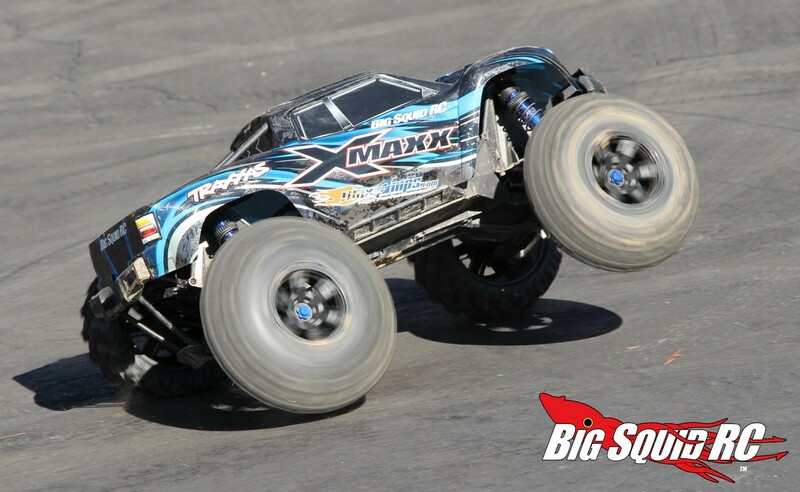 Power: Compared to other packs that we have used in our X-Maxx (Reedy & Traxxas), the MaxAmps straight up ripped. The MaxAmps packs were of much higher capacity than the other packs we’ve tried, meaning they should have more power, but even we were impressed on just how much faster the MaxAmps packs were. Not only did they have more rip right off the bottom (making wheelies that much easier), but they also gave our truck an extra 3 mph of top speed. 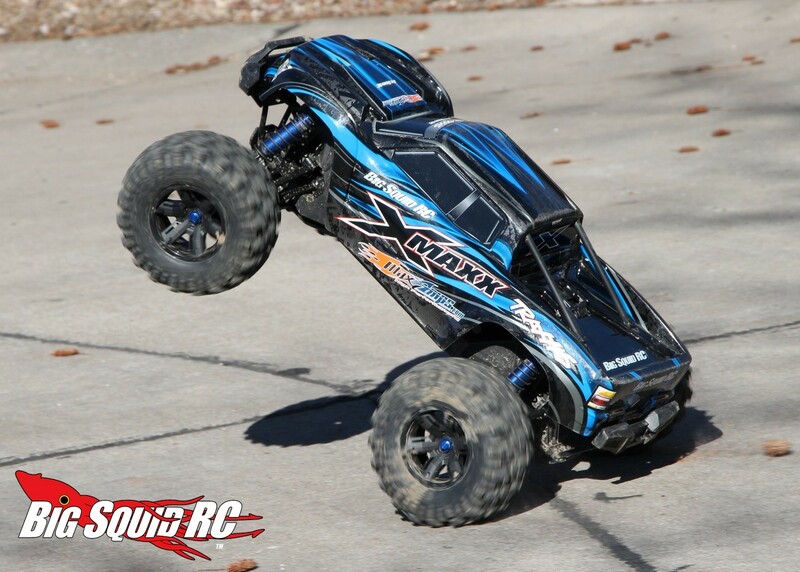 From top to bottom in the power range, the packs gave our X-Maxx a noticeable boost in power. Runtime: Ok, so we never got a good measure on runtime, but that was simply because the packs ran so long that we either got tired of driving, or we had already broken the truck, before we got a good reading. MaxAmps claims runtimes of over 30 minutes and we would have to say we believe them. The X-Maxx already has a reputation for quickly sucking batteries dry, but that’s why the 9000mAh of the MaxAmps packs came in handy, they just kept going and going. Durability: The MaxAmps are indeed huge, beefy packs. 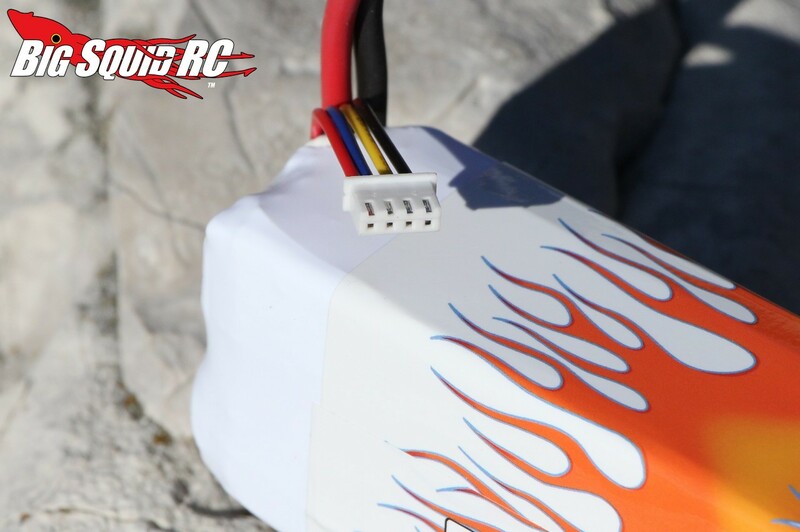 Even after a long run on the significant current draw of the X-Maxx’s power system, the packs were still barely above skin temp. We also hucked our truck off of all sorts of ugly and the packs were undamaged. While hard case packs are normally preferred for extreme bashing, the large battery tray in the X-Maxx seemed to protect the soft packs without issue. At the end of our review we had put in just over 20 cycles on the MaxAmps packs and they seem to be performing as well, or better, than they did on the first cycle. 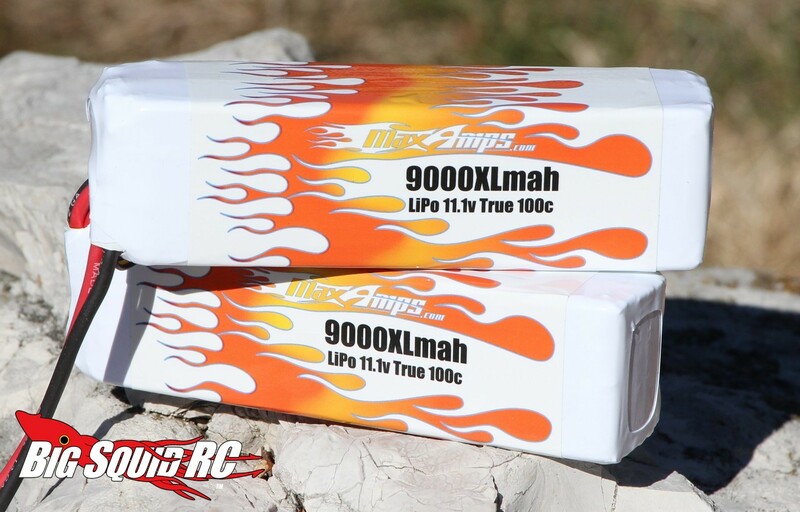 Final Verdict: We had nothing but good times with the MaxAmps X-Maxx LiPo batteries. They gave us a serious boost in power output while giving our truck much longer runtimes. Perhaps more importantly, they absolutely breezed through our durability testing. 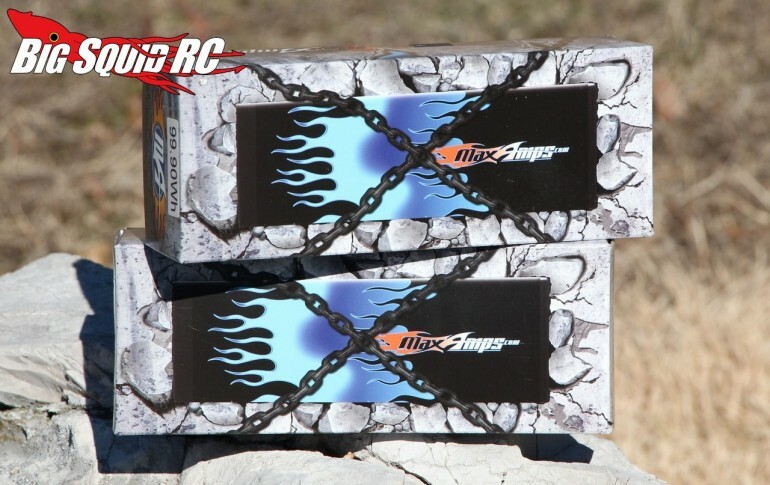 If you are looking for a high-end set of LiPo batteries for your X-Maxx we can highly recommend the MaxAmps packs to you.